Custom hardware for your window treatments makes a difference in the overall look of your room. When I went out to this client’s home I was only contracted to make a table skirt from a duvet’ cover. 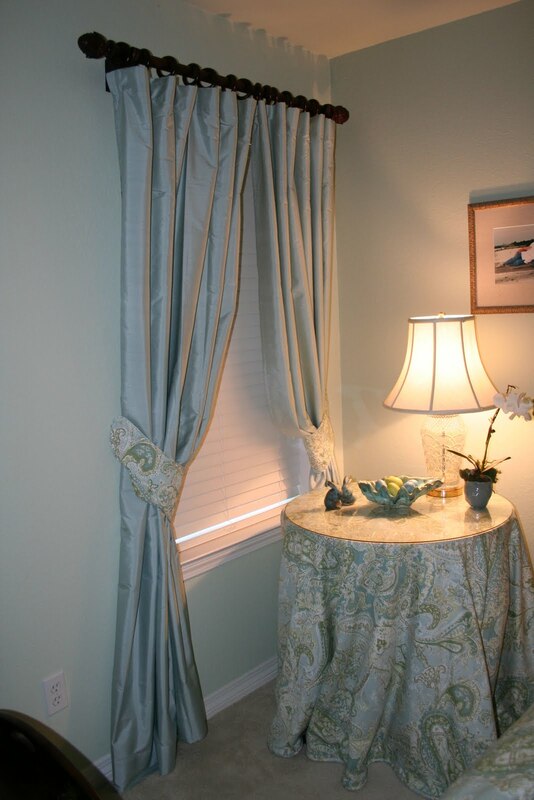 When I returned to install the table skirt I noticed the lack of beautiful hardware on her new drapes. So, of course, I mentioned that beautiful hardware would elevate the overall look of the window treatments. The client had been updating her bedroom, but she had no source for specialty hardware. Hence, she had to settle for what she could find locally. The client also decided some tiebacks would be nice too. I made the tiebacks with some of the leftover duvet’ fabric. Before the custom hardware was added. 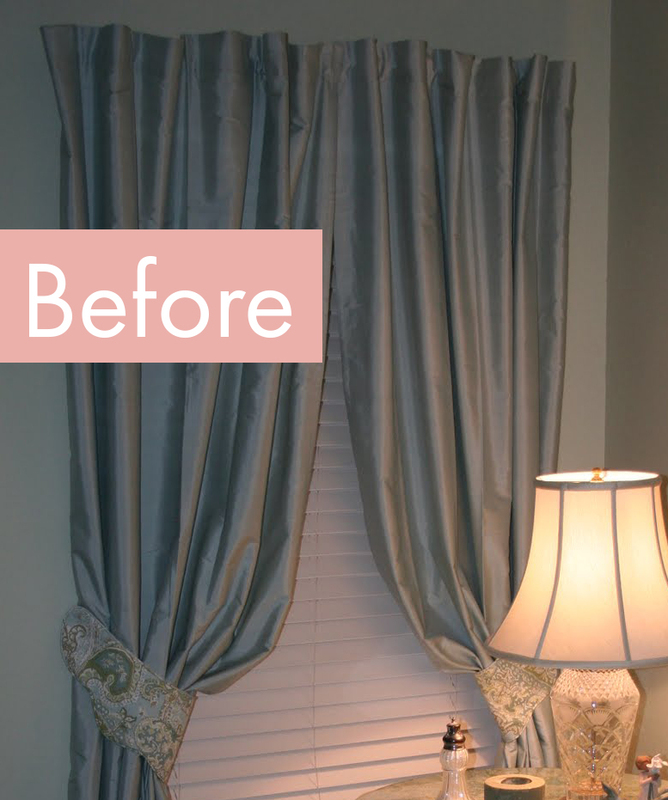 These drapes are ready-made and do not have heavy lining and are not interlined. They are not full like custom made drapes, but the overall look is a much more finished with the new hardware. Before custom hardware. Notice the top of the drapes. It seems to be missing something. The proper hardware showcasing your window treatments is essential. Choosing the right hardware can take something ordinary and make it extraordinary!